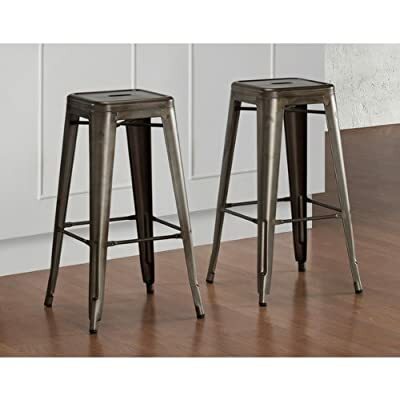 Tabouret Vintage 30-inch Bar Stools 9283182 (Set of 2). Product prices and availability are accurate as of 2017-10-04 19:43:14 EDT and are subject to change. Any price and availability information displayed on http://www.amazon.com/ at the time of purchase will apply to the purchase of this product. 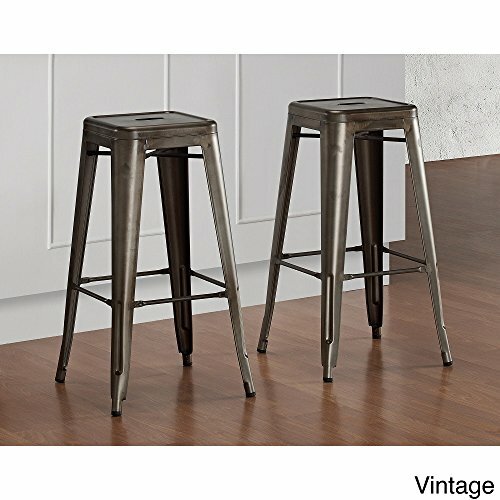 With its sturdy steel construction, these steel stools offer a vintage industrial look. 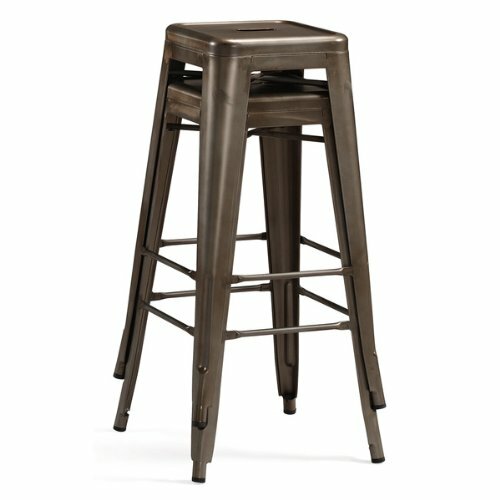 These bar-height stools are fully assembled, stackable and feature non-mar foot glides. The seat dimensions of these two barstools are 30 inches high by 12 inches wide by 12 inches deep. 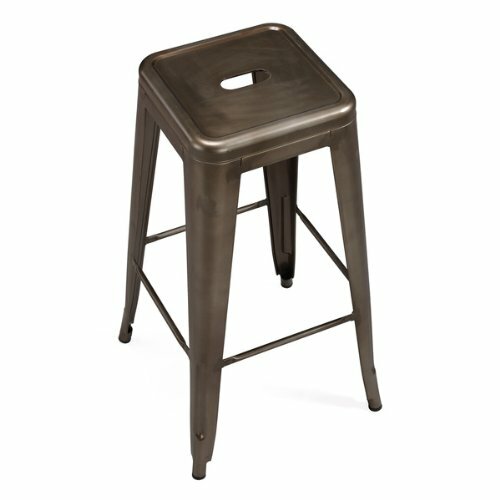 The barstool dimensions are 30 inches high by 17 inches wide by 17 inches deep. 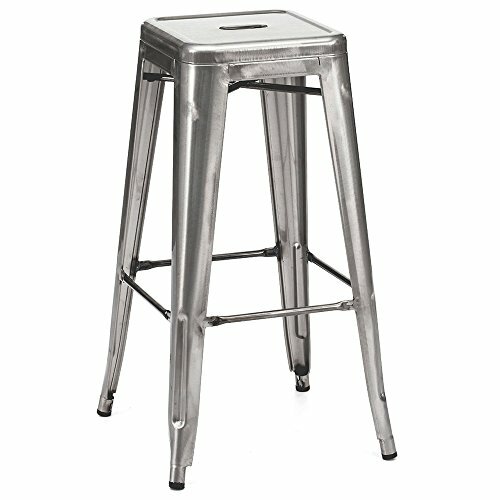 The two color choices available include vintage and gunmetal, and the sturdy steel construction ensures their durability.